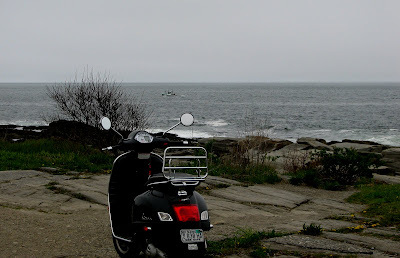 Although I've never been past Rockport, with many miles of coast left to see, I'll be surprised if another spot on the Maine seacoast tops Two Lights in Cape Elizabeth as my place to visit to lift me up, settle me down, or bring back memories of great events in my life. It was here that my future wife and I visited on our first date, on August 2, 1974. After dinner and a movie, Kathy Roberts and I determined that we didn't want the night - by now, early morning - to end, so to the Lights we drove. We were married exactly three months later, and have remained happily hitched for 37 years. 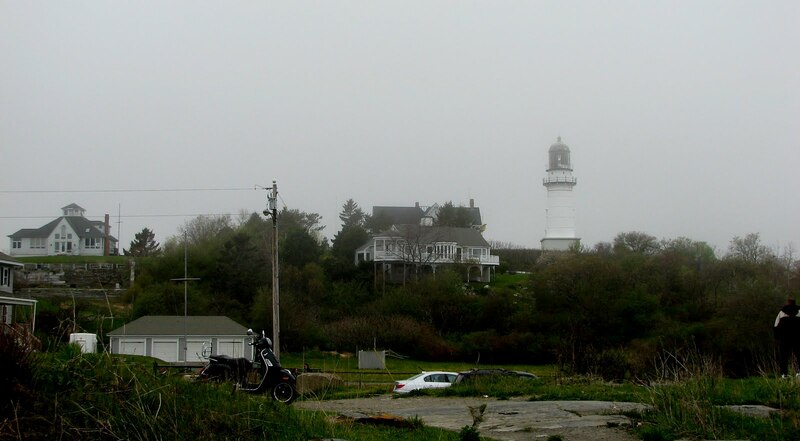 Below is the single remaining lighthouse, the East light -the West light was shut off in 1924. 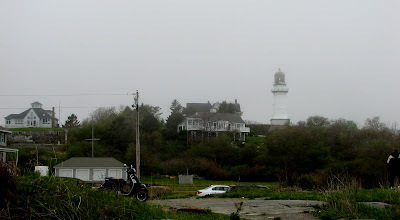 I took this photo in a dense fog, not uncommon on the coast. From the small public parking lot, it's a short walk, or a rather rattling ride, to the rocks. This is a place to sit and think, to walk cautiously, to let the sound of the sea breaking on the rocks pound away any troubles you may have. 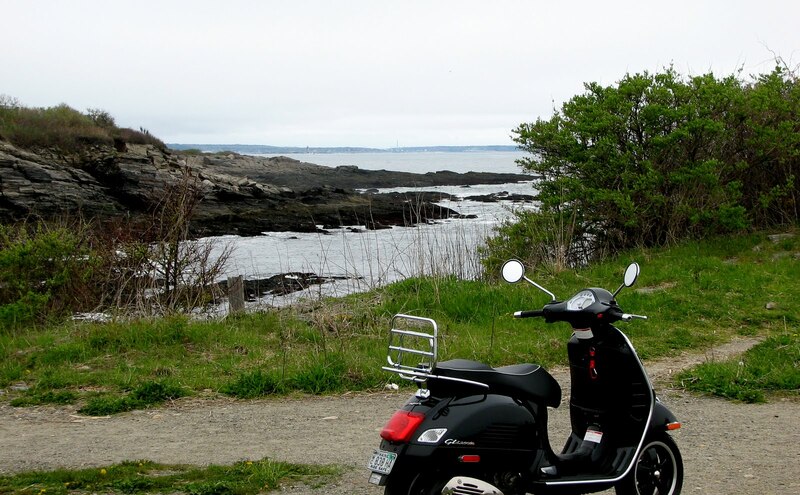 Just down from where I parked my Vespa is a hundreds-of-yards long stretch of incredible rocky coast. 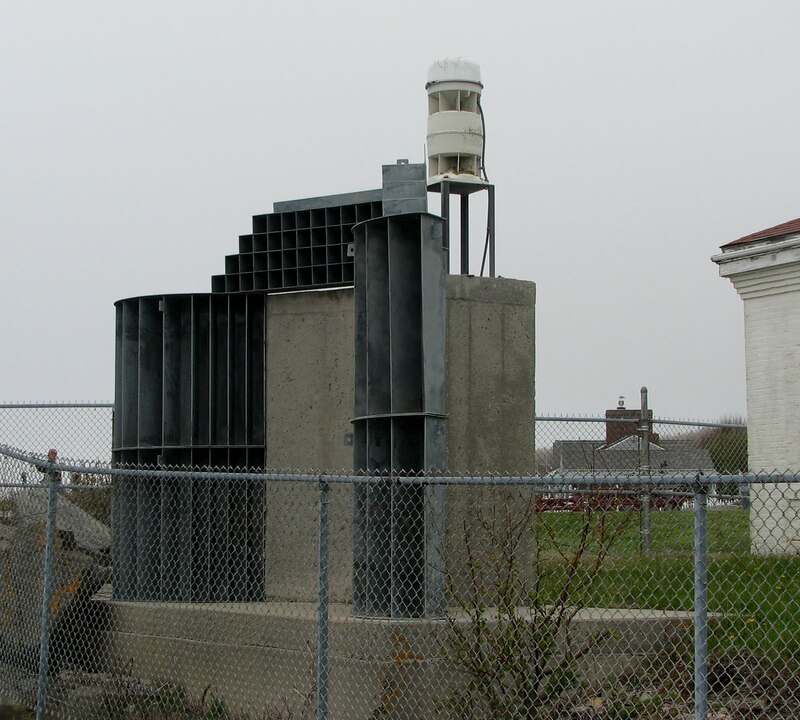 The surf here can grow so loud that way back in the 1800s, the sailors using the lights for direction to Portland Harbor complained that they couldn't hear the fog signal, which was then was a bell. This young couple apparently weren't in a meditative mood. 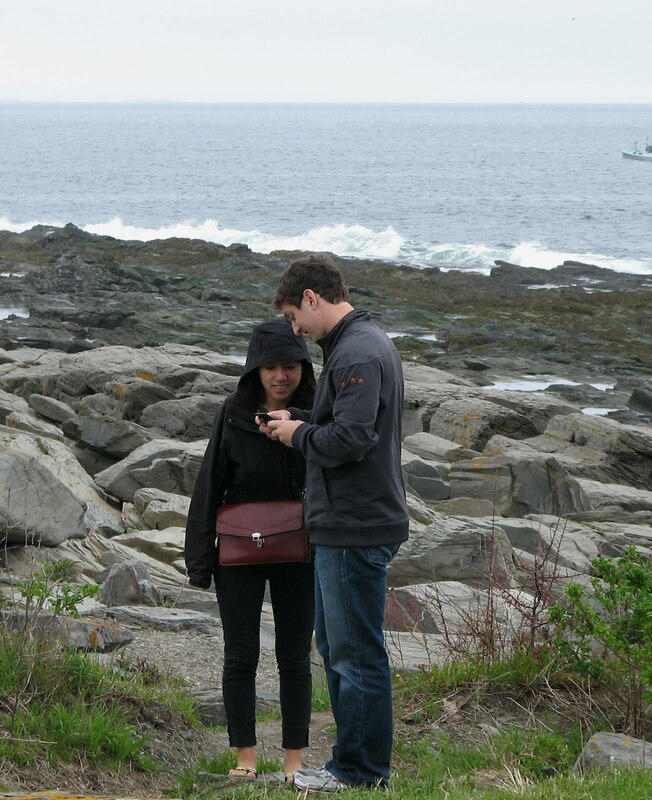 They parked their car, walked to the rocks, took a picture of themselves, and, jointly approving of the photo, hurried back to the car and drove away. The whole visit took all of three minutes. My visit lasted an hour - short for me. Maybe I had more to mull over than the kids, or perhaps my old bones weren't ready for the road again. Just look at this view! On my next visit, I'm going to make a video from as close to the water as I dare get. 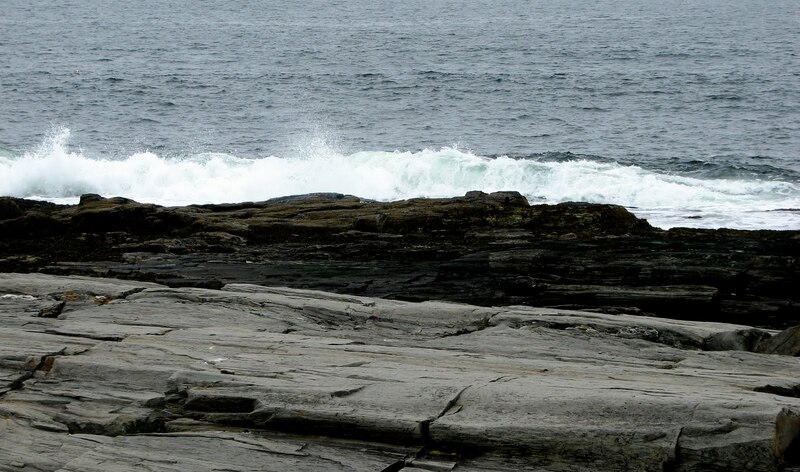 But only a trip to Maine will settle in your heart that breakers on ancient rocks is nearly perfect therapy. 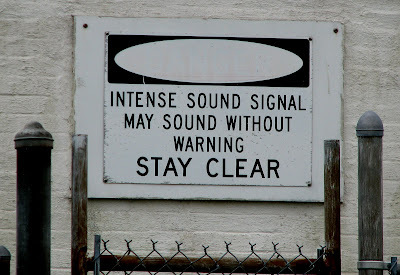 This sign is posted on the fence surrounding the fog horn at Two Lights. Visitors ignore it only once. And here is the horn itself. 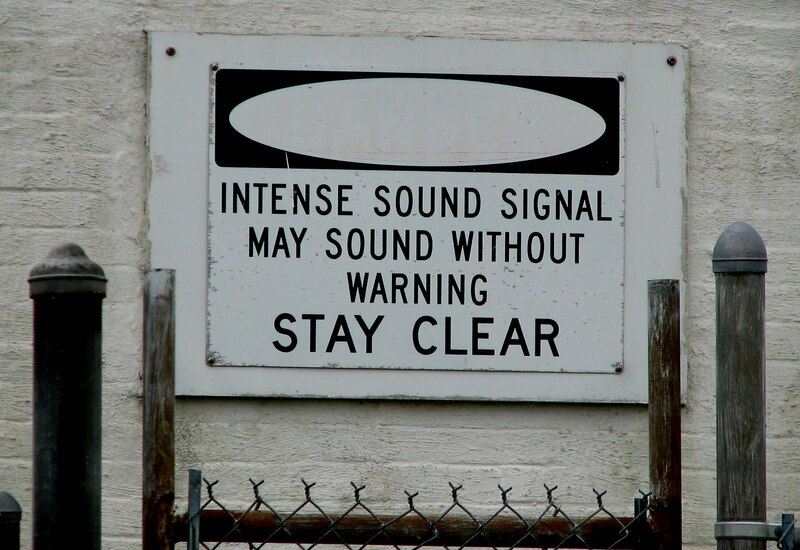 At just under 120 decibels, the horn is louder than sandblasting or a rock concert; a gunshot or jet engine at 100 feet register 140 dB. Pain is felt at 125 dB. Obviously this video doesn't capture the volume of the fog horn, but I hope it will give you an idea of the sound. Many people hate the noise, but when heard from a comfortable distance, a fog horn can be as lonely but comforting as the whistle of a train. 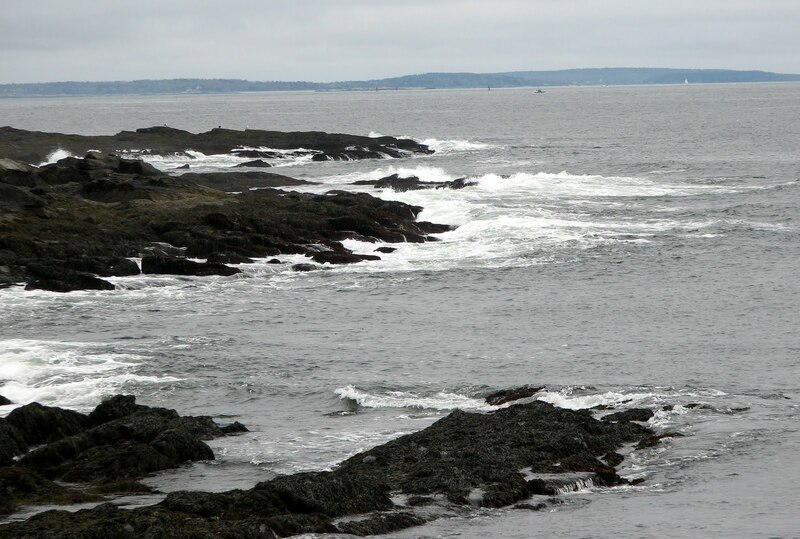 I've view the lighthouse at Cape Elizabeth from sea but never on land. Looks like a great place to ride the Vespa. Reading through your recent posts makes me think Kim and I need to make another trip to Maine. Steve, I'm pleased to hear that my posts are having a positive effect. 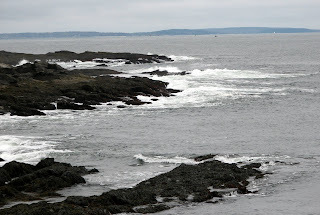 Maine is getting greener and warmer by the day, and thus much more welcoming than the recent unpleasantness of winter. Let me know when and where you and Kim touch down. Good shots, the foghorn is loud but the baffles are diminishing the sound of the nautophone somewhat which is what they are designed for as one of those units without the baffle is very loud even from half a mile away.